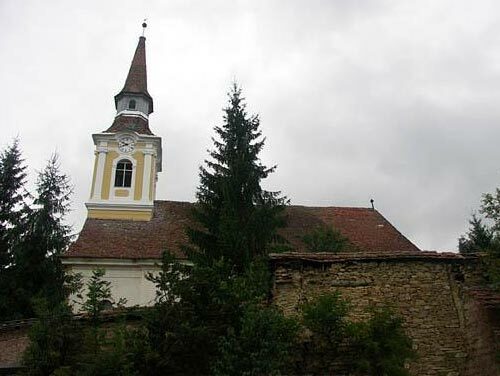 Villages in the Bunesti township are representative for what is understood by rural citadel or fortified church starting with the 13th Century and sometimes even late 12th Century After five, six, seven centuries, these edifices are still standing proof of a unique mode of existence in communities bound around the citadel-church. 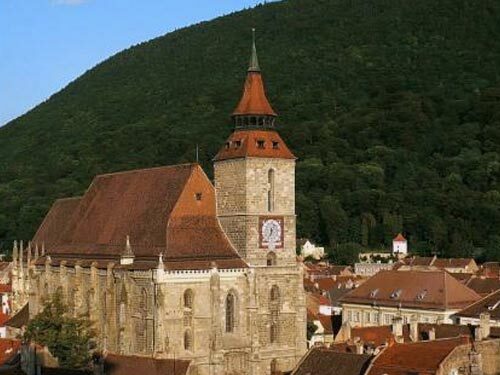 From the first places of worship in the form of modest wooden constructions, the Saxon colonists started building ever bigger and stronger churches in stone, which, throughout the centuries, helped protect not only small village communities, but the whole of Transylvania from the invading tribes and populations, like the Turks. 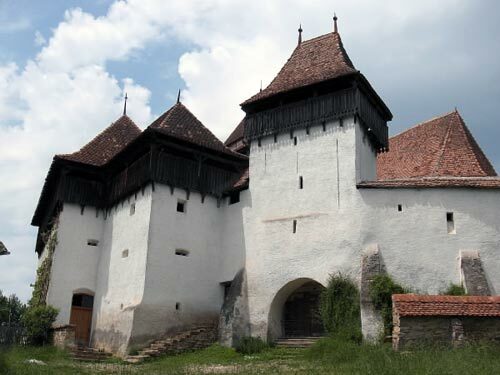 Crit have a fortified church with a well preserved church and perimeter and gatehouse. The church itself was rebuilt in 1810. The old name Kreuz (cross) comes, by local tradition, from a large cross thrust into a promontory, visible from the nearest villages - Crit, Cloasterf and Mesendorf. Around the cross the first homes were built, as well as a stone church, dedicated to St. Cross. Inside the new church, built between 1810 and 1813 in the same place as the old one by the same craftsman who built the church of Saes and the bell tower from Danes, on two platforms along the western wall, old church pews, some from the 17th century, are preserved, together with tempera paintings, similar to the ones from Cloasterf. Mesendorf was first mentioned in historical document in 1289. In 1469 the village was destroyed in a fire and again in 1641, 1755 and 1804. Despite this it retains its original layout. 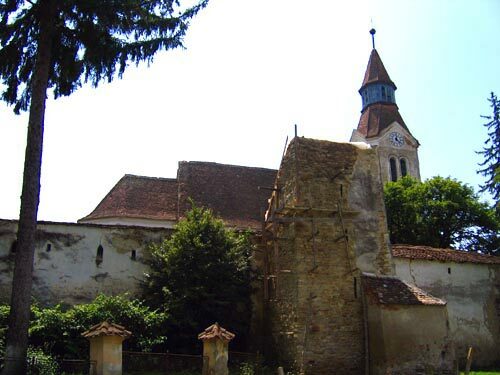 The fortified church was first built in the 14th century and was a very simple early Gothic building. A high sandstone wall, a defence corridor and two three-storied defence towers as well as a steep pyramidal roof were built in 1495. Restoration works were begun in 1701, and in 1888 parts of the circular outside wall and of the inside wall tower were taken down. The triptych altar has two mobile and two fixed wings, made after the model of an old altar. The altar panels represent biblical scenes. In 1923 Hans Hermann renovated the altar and painted four new images representing four apostles. The 1765 organ was replaced by a new one in the 1920's. The view from the church tower in Mesendorf is one of the highlights of a visit to Tarnava Mare. It gives a very clear understanding of the layout of the Saxon villages and stunning views of the surrounding countryside.